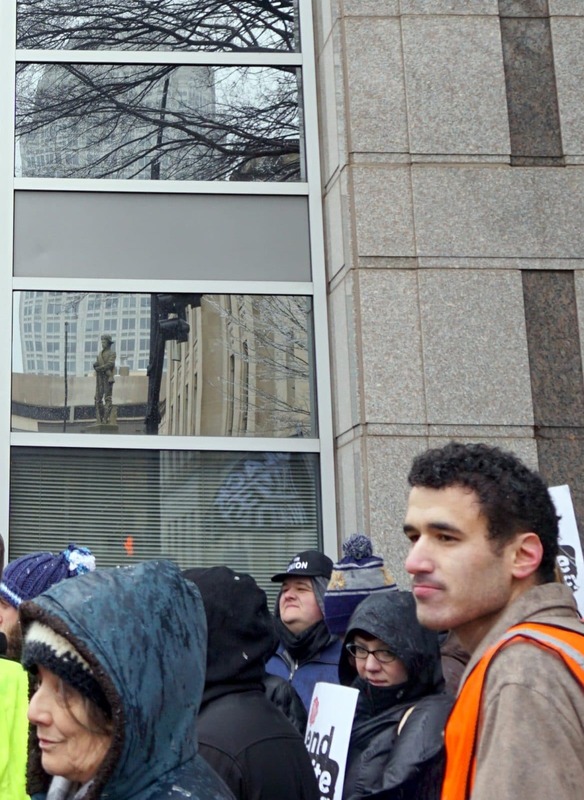 On a cold, wet winter’s day opponents and proponents of the Confederate statue at 50 West Fourth Street gathered on opposite sides of Fourth Street in dueling protests. At the base of the Confederate statue, a modest, all-white group of approximately 20 gathered. 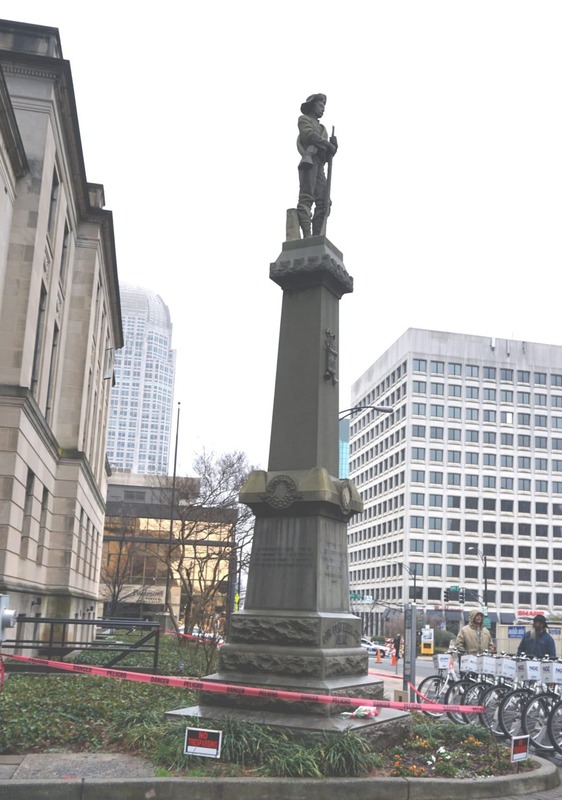 They came to Winston to oppose Winston-Salem Alliance President and W-S Mayor, Allen Joines’ plan to move Winston’s Confederate statue to Salem Cemetery. Across the street, at One West Fourth Street, a much more substantial and diverse crowd gathered to denounce the racially and historically challenged supporters of the Confederacy. A social media post two weeks ago alerted the Left in Winston that some unsavory, Confederate-loving rabble were coming to Winston. 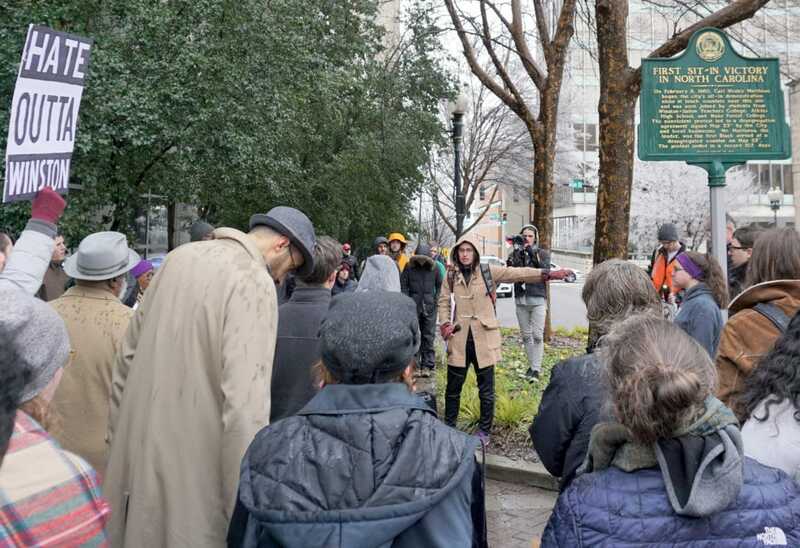 Sunday afternoon in Downtown Winston, anti-racists outnumbered the lost cause society by at least 4 to 1. While the old-timers at 50 West Fourth sang “Dixie” once and then quieted down. The progressive crowd at One West Fourth Street shouted passionate, clever chants. Speaker after speaker contextualized the hateful Confederate statue at 50 West Fourth Street. It was a teach-in as much as it was a protest. Winston’s most public symbol of Jim Crow racism appears to be coming down soon (in pieces or relocated to Salem Cemetery). 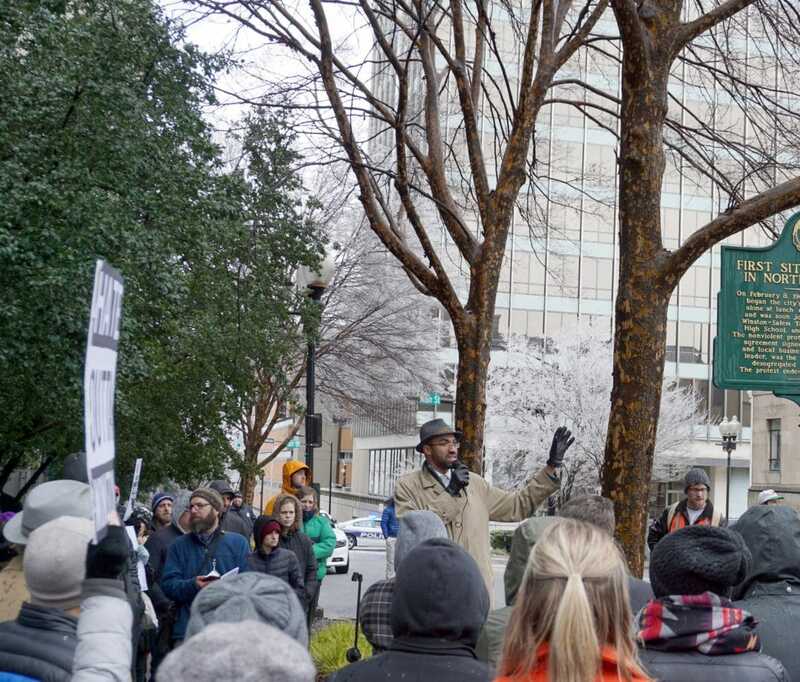 I’ve been very impressed with the diverse group of speakers that have connected Winston’s Jim Crow statue with structural racism that has divided Winston-Salem into two cities, separate and unequal. 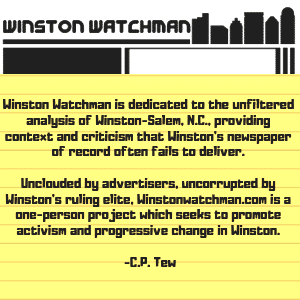 Winston’s Confederate statue is coming down! 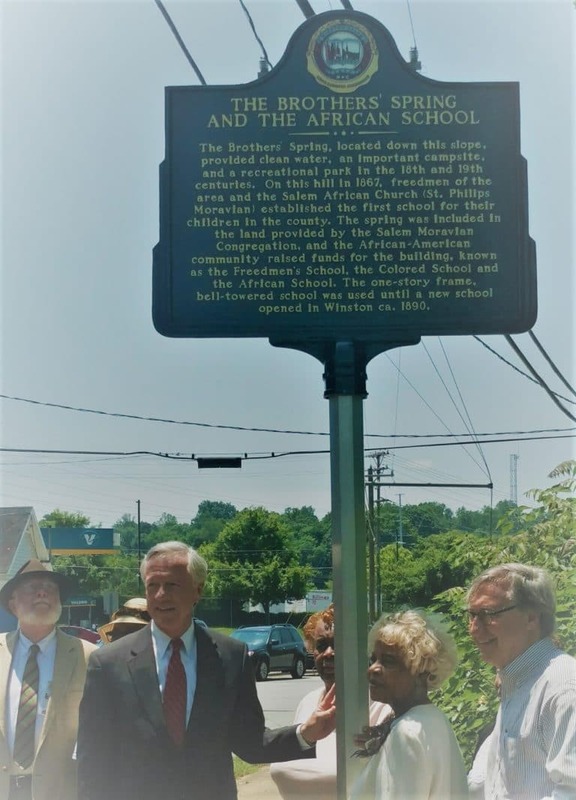 Promoting equity in Winston, fighting against gentrification and unequal public education, that’s the long struggle for leftists and progressives in Winston. Black And Brown Have Built This Town! No Hate, No KKK, No Fascist USA! Alfred Waddell Is Cooking In Hell!